Sweet. I like the cute little MK in the corner. Reboot was an excellent show. Oh my goodness! I thought I'd never see the day someone would draw a Reboot/Kirby crossover! XDDD Yes, I remember that show indeed. Excellent work. I've never heard of that show, but this is great. This is a cool picture!! I just love it! I love Meta-Knight down in the corner. 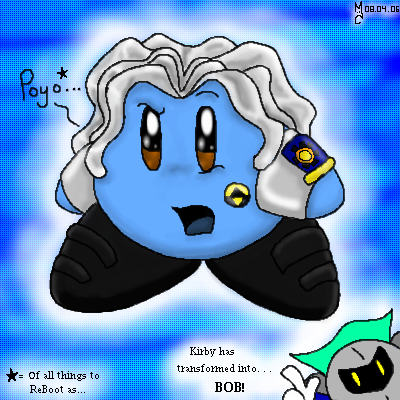 Kirby.. errr "Bob" looks really good to.